2nd place in the HACKFEST competition, authors of the cool muu.sk project. 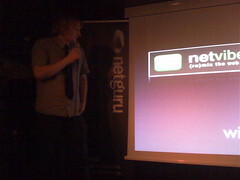 the "Internet" was mostly divided between big players, Onet, Wirtualna Polska, O2, Interia and raising Gazeta.pl; their strategy was to launch as many "social websites" as possible to build strong network of owned services and have the highest penetration possible — it made it difficult for startups without great funds for marketing to reach reasonable position in the market. But it was somewhere between 2006/2007 that situation started changing. Rapidly. Big services started to buy "amateur" social services (Wrocek.pl was one of the first), some big transactions took place (online auction service Allegro.pl acquired Ceneo.pl) and MCI made a (not so large) investment in Webkwadrat, the company behind a project that was meant to be a Polish LinkedIn (absolute failure anyway). At that point there was nothing like Y-Combinator and most investors preferred to stay away from early-stage web startups. Why am I mentioning this? Because it was exactly then (at a meeting organized by Leviatan Business Angles in Warsaw) were I heard first unofficial ideas of creating "Polish Barcamp" meetings. Come on, it was not THAT long ago, and people were so excited about doing startups the-silicon-valley-way which seemed so unrealistic then. I could not imagine how situation would change. 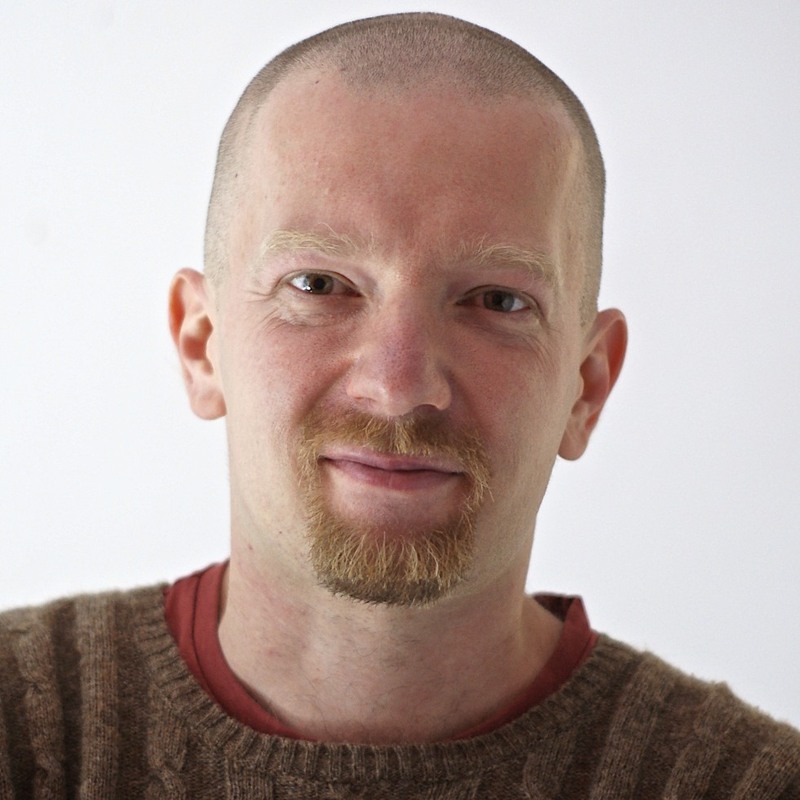 To make a connection to Wikidot — it was quite difficult to find early-stage seed capital for Wikidot. In fact I was talking to a few people in Poland but finally decided to invest my private money until I can reach other investors. To make the story consistent, there was one meeting that had a great impact on my thinking about Wikidot — it was the third Grill IT meeting in Wrocław where I gave a presentation about Wikidot. 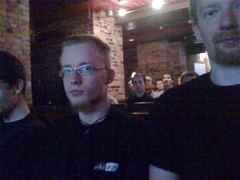 One of the people I met was Sebastian Kwiecień, author of a then-popular blog web20.pl. So here we are today. There are over 15 regular meetings related to web projects in different cities in Poland, there are many successful web projects that are perfectly profitable, big companies are interested in investing in startups and acquiring projects… — finally they realized that it is much easier/safer/faster to buy something than take the risk of building it themselves. Of course it is not the Silicon Valley, the scale is different, but the mechanisms are quite the same. And yesterday I met Sebastian again. He (after working at Monetto.pl) and a few other people with impressive portfolios have started Venture Incubator S.A. which is… almost exactly what Y-Combinator does. They invest in very early stages of the project, even pre-prototype. This is exactly what I missed 2 years ago. After talking to Sebastian and seeing their portfolio it looks like they are also offering vary strong support for the projects (not only backing it up financially) and even provide complete infrastructure for the project. And of course help to get either to "profitable paradise" stage, enter another round of investment or push it to the NewConnect. 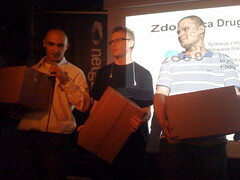 Thanks to Barcamp.pl organizers and all folks we have met — I hope we will meet the next time! I love insider posts. It's one of the great things blogging can accomplish when professionals and experts decide to do it. Open up new worlds to people who couldn't previously access them. Kudos on the new blog. Keep up the good work. Thanks David, I will try to keep you up-to-date with as many unofficial & insider news related to Wikidot and surroundings.